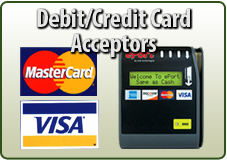 Filled with mouth-watering options�fresh and frozen foods including chicken sandwiches, burgers, wraps, fruit, hot wings and an assortment of creamy ice cream�our vending machines are at your beck and call any time, day or night, weekdays and weekends. It doesn�t get any easier than this. 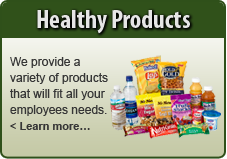 No more unappealing sack lunches to force into an overcrowded company fridge. No more pilfered or picked-through lunches. And your choices will be delivered in time, every time. 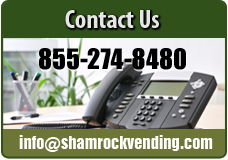 At Shamrock Vending, we have a dedicated team of professionals to deliver products that are handled, transported and delivered with safety and integrity uppermost in mind.